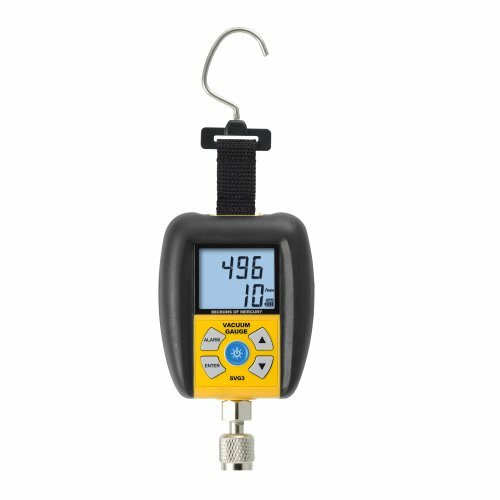 The SVG3 digital micron vacuum gauge is a compact, rugged gauge that is loaded with features hvacr professionals need to help them do more. It includes a large, dual display with a rate indicator, alarms, timer, rugged Rubberized case, and a hook at strap that allows the vacuum gauge to be hung at any angle. made in United States. Manufactured by Fieldpiece instruments Inc.